2018 INFINITI QX30 Safety Features at INFINITI of Naperville! Picture yourself in a world where your vehicle protects you at the highest possible level. The 2018 INFINITI QX30 safety features do just that, and more. The safety technology inside the QX30 is designed to help control your vehicle, prevent accidents from happening, and protect you when they do. INFINITI’s advanced, comprehensive airbag system joins together front and side airbags, side-impact airbags, front driver and passenger knee bags, and more. The QX30’s high-strength vehicle construction with front and rear crumple zones and a reinforced passenger compartment create a protective bubble. Standard Traction Control and Vehicle Dynamic Stability Control, plus Electronic Brake Force Distribution keep the QX30 stable under challenging circumstances. Remote keyless entry and power windows help you safely enter and exit the vehicle. And, your QX30 is protected if there’s an intrusion. Blind Spot Warning – This sensor-based system can tell if there’s another vehicle in your blind spot. It alerts you with a warning light and chime, so you can respond appropriately. 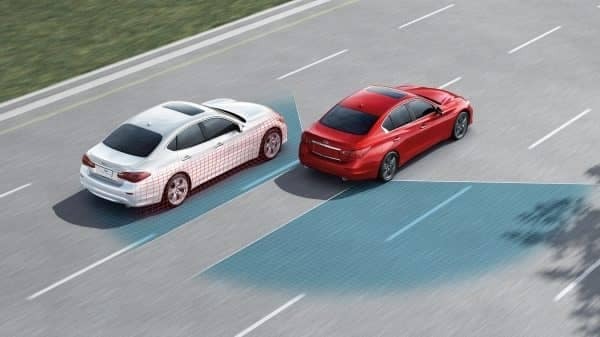 Forward Emergency Braking – This is another automated protective feature, and it monitors the vehicle in front of you and senses if you’re getting way too close. The system will warn you, and if you don’t react in time, it will automatically apply the brakes to attempt to avoid the collision. Lane Departure Warning – This powerful technology also uses sensors, and it detects if you start to drift out of the lane you’re driving in and provides warning signals. Cross-Traffic Alert – This system utilizes the rearview camera and sensors to give you a visual of what’s happening behind you. So, if your display shows obstacles in your path, you can quickly stop. 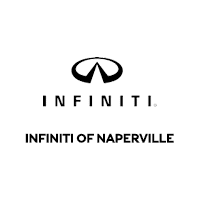 There’s so much to learn about the top-rated 2018 INFINITI QX30 safety features, so do yourself a favor and head down to INFINITI of Naperville and check out our inventory. We can answer all your questions and demonstrate all the QX30’s safety capabilities. Contact us today to learn more!